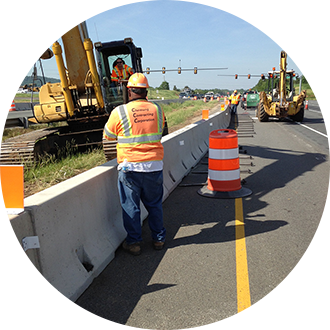 "These barriers are very easy to use; it's amazing how quickly they can be set up, in place, and ready to use." 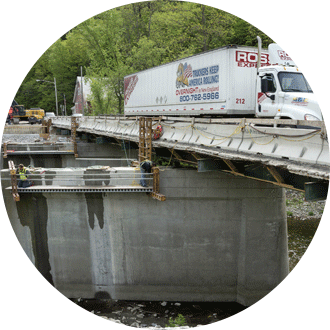 "The average offload and set-in-place pace was 8-10 minutes per truck, with each truck delivering five 20-foot wall pieces. This is much more efficient and safer than the old ‘connector style’ barrier walls." 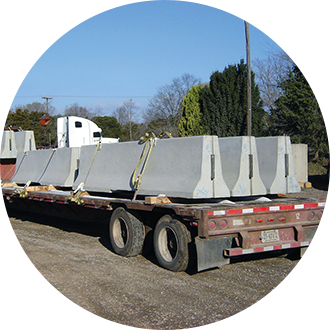 "We’re extremely happy with road barriers that have the J-J Hooks connection. .. They are much quicker and easier to work with ... there is no reason for our guys to have their hands and fingers in the way since there is no loose hardware to put in place ... 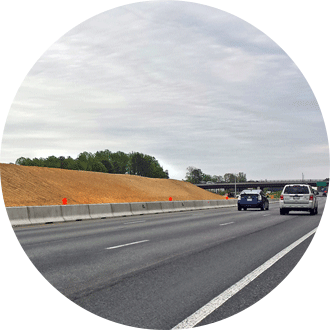 Overall, we’re very impressed with the way this project is going with the use of J-J Hooks road barriers." 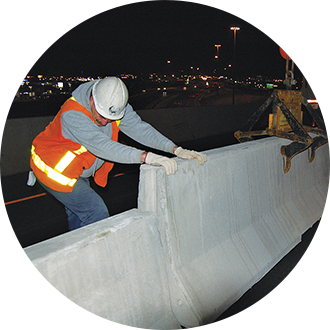 "... we installed over 26,000 linear feet of temporary barrier wall in 20’ sections ... in six shifts ... removal was simplified by not having to pull pins or shake walls loose." 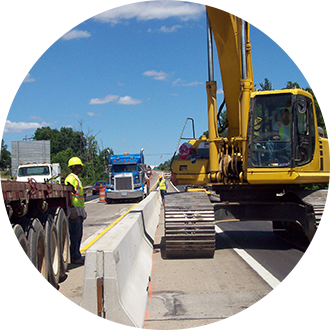 "... with only a loader and a ground man to align sections, we were able to off-load and set 40 barrier units per hour. This is a very slick system... You have a winner with this design"